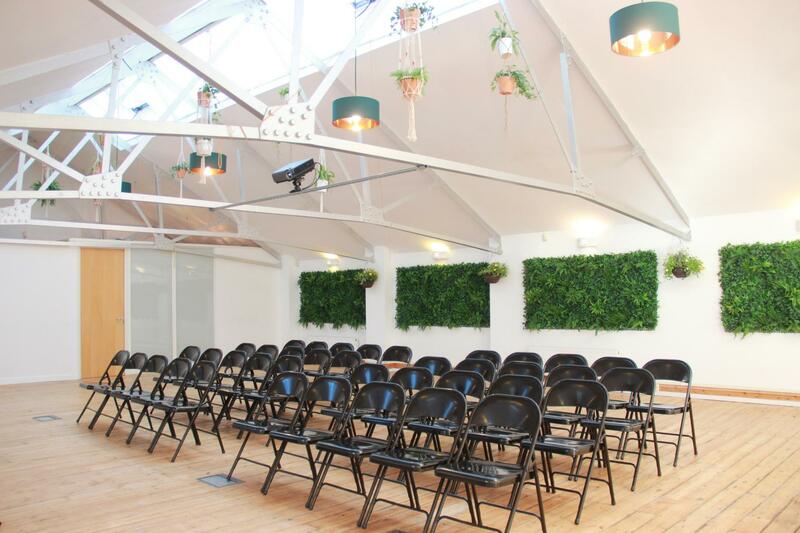 The Flowerpot Hoxton is a brand new meetings & events venue opening on 20th September, we have chosen a lovely warehouse located on the serene Regent Canal in Hoxton just a stones throw from Shoreditch. The space itself is one large open plan room with a 25 meter skylight running down the middle to bath the entire room in natural daylight, we have dressed the room as a winter garden with hanging plants, living walls and flowerbeds on wheels. 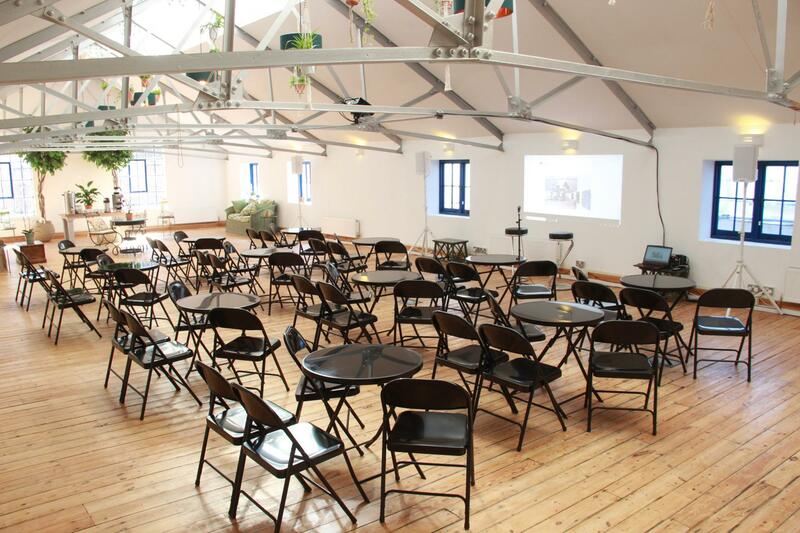 The space is very flexible and can accommodate meetings, conferences, receptions and celebrations. The space also includes a small breakout meeting room and kitchenette with unlimited tea, coffee & soft drinks. We have tried to include as much as possible within our venue hire to save clients time and let them focus on the important details. 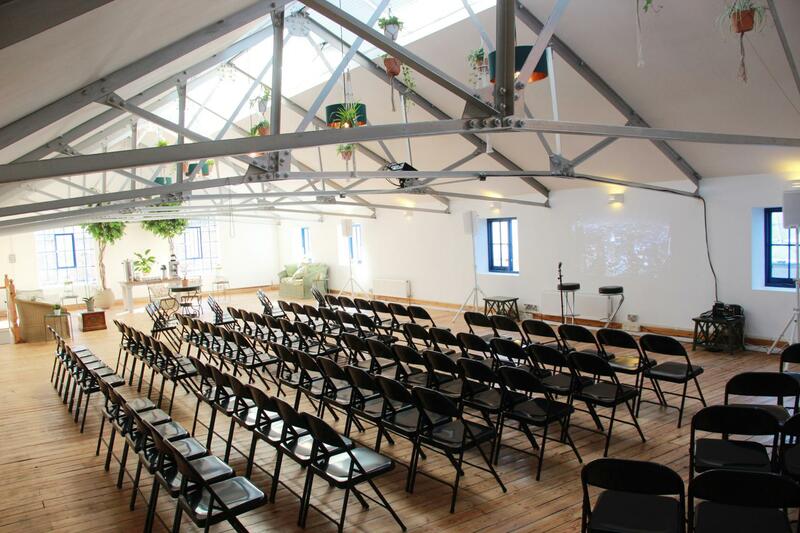 The venue hire includes our 6K Lumen daylight projector & screen, a TV screen in the meeting room, we have a soundsystem in the entire venue and microphones too. The kitchenette also includes cutlery, crockery and glassware and as a dry hire venue clients are welcome to organise their own catering or choose from our delightful recommended suppliers. 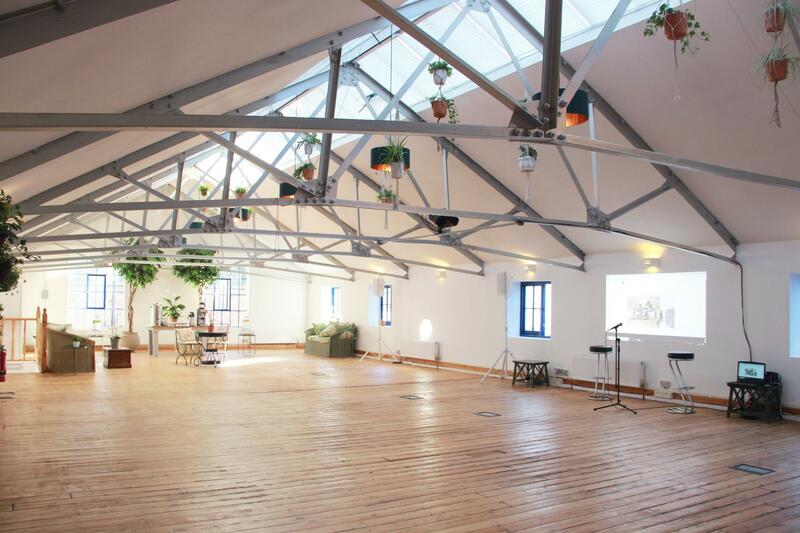 The Flowerpot is one large open plan space with a skylight running down the middle of the room to flood the space with natural daylight. 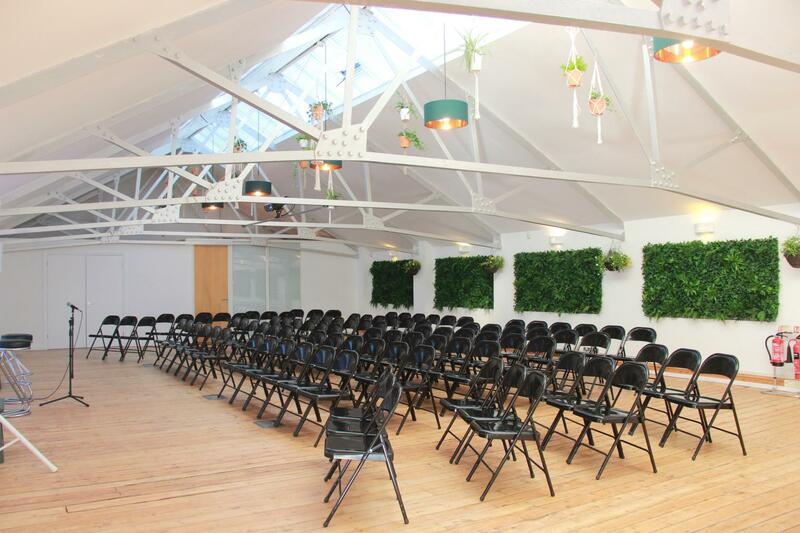 We have filled the venue with hanging plants, living walls and flowerbeds on wheels to split the venue up into separate area's whilst still maintaining a light airy space. 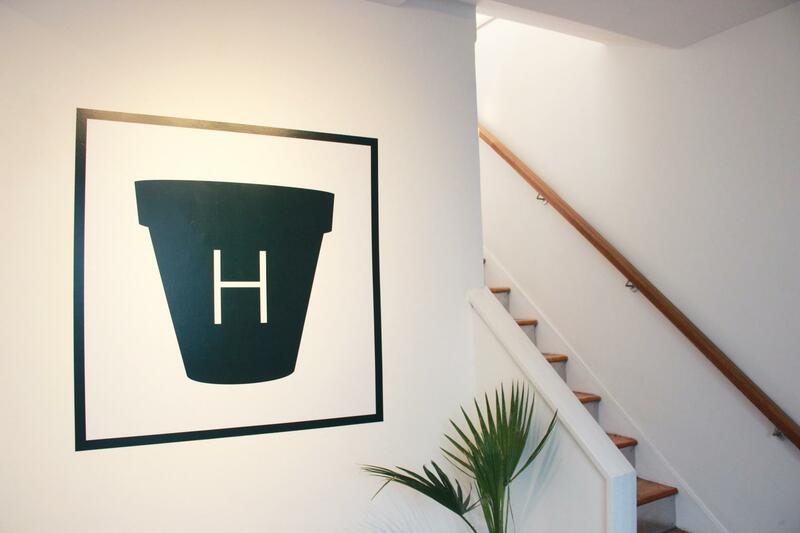 The Flowerpot is a perfect venue to let idea's grow, we include 5 whiteboards and flipcharts with every conference allowing for both a presentation area and plenty of breakout groups. 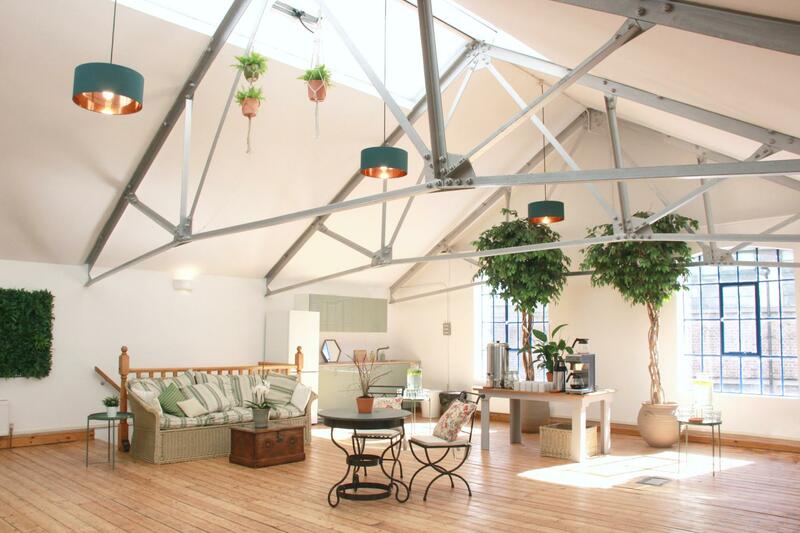 We are entirely dry hire and allow guests to organise all their own catering. Will and Phil bent over backwards with their support both before and during the event. Super helpful, super responsive even helping carry out deliveries in and helping our AV guys. Their support on the day during registration etc. was amazing and also helping with the outside catering we ordered. Will definitely use this venue again. Will and Phil were great hosts very attentive and efficient. I can’t wait to use them again!